Following Samsung Electronics Co. announcement that Samsung Galaxy S8, as well as the Galaxy Note 8 or the Galaxy S8 Plus, will be launched soon, a report concerning the specifications, including the release date of the Samsung Galaxy S8 has just been leaked by Evan Blass of Venture Beat, arguably the world’s most famous leaker. the device will come in two screen sizes – 5.8 and 6.2 inches and both will come with a curved display. The devices are also foregoing the front fingerprint scanner to place it at the back, adjacent to the camera. Samsung will also implement the Note 7’s iris scanner. The device is said to be running on a battery capacity of 3000mAh and 3500mAh for the 5.8-inch and 6.2-inch designs, respectively. Charging will be done via a USB Type C.
The RAM size will stay as 4GB (I thought there would be an improvement in that) but the internal memory will get a boost to 64 GB of storage by default which will be expandable to 256GB. There will be no resolution improvement but the front camera will be 8MP unlike the S7 which was 5MP; while the secondary camera will be 12MP. I also hear Samsung is planning a feature called DeX, resembling Windows Continuum that will give the Galaxy S8 desktop PC-like functionality when plugged into an optional HDMI dock. Also, the phone will have a dedicated button that will activate an artificial intelligence digital assistant app called Bixby. Bixby is said to be able to handle more complex commands than its competitors like Apple’s Siri and Google Assistant. Blass also says Samsung isn’t even putting a logo on the front of the devices. That’s kind of weird. 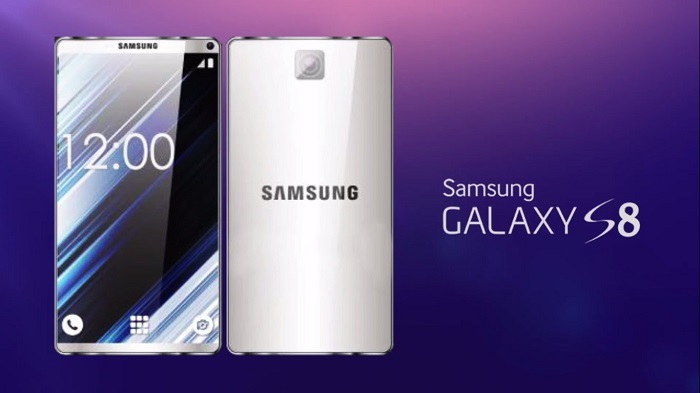 Normally, Samsung announces new phones at the Mobile World Congress, with a release shortly after. But it has been confirmed that the company wouldn’t do that next month. Samsung is waiting an extra month to announce them at an Unpacked event in New York on March 29. The phones will then be released on April 21. The extra month delay is no surprise considering the drama that plagued the Samsung Galaxy Note 7 forcing the OEM to shut down production. By March 29, Samsung engineers would have put everything in place to make the Galaxy Note 7 successor competes favorably with its competitors.